One might wonder why I'm posting this article. Think of the whole article as a parable for American culture in general. The discussion in the comment section should be very interesting! The day it happened was no different from most; I was worried, and I was running late. I was worried because in a few hours’ time I was going to be enduring a two-and-a-half hour flight with my kids, ages 1 and 4. I was running late because, like many parents of small children, I often find there just aren’t enough hours in the day. We were visiting my family and I was eager to get home to my husband. My 1-year-old daughter had just gone down for a nap when, in the process of packing, I realized that my son’s headphones, the ones he used to watch a movie on the plane, had broken. I called across the house to my mother that I was going to run to the store to replace them. “Me too,” my son said. I asked him if he was sure he didn’t want to stay home with Grandma. “You hate going to the store,” I reminded him. “No I don’t!” he said. I should have seen what was going on — my parents had been letting him play with the iPad in the car and he was trying to score the extra screen time. We got in my mother’s minivan and drove a mile up the road, through the sleepy subdivision where I’d grown up, the sort of subdivision where kids ride bikes in cul-de-sacs and plenty of people don’t bother to lock their doors, then we parked in the recently erected, nearly empty strip mall. I had two hours to get the headphones, get home, get my 1-year-old daughter up from her nap and fed and changed, get everyone to the airport, through security, and onto a plane. “I don’t want to go in,” my son said as I opened the door. He glanced up at me, his eyes alight with what I’d come to recognize as a sort of pre-tantrum agitation. “No, no, no, no, no! I don’t want to go in,” he repeated, and turned back to his game. I took a deep breath. I looked at the clock. For the next four or five seconds, I did what it sometimes seems I’ve been doing every minute of every day since having children, a constant, never-ending risk-benefit analysis. I noted that it was a mild, overcast, 50-degree day. I noted how close the parking spot was to the front door, and that there were a few other cars nearby. I visualized how quickly, unencumbered by a tantrumming 4-year-old, I would be, running into the store, grabbing a pair of child headphones. And then I did something I’d never done before. I left him. I told him I’d be right back. I cracked the windows and child-locked the doors and double-clicked my keys so that the car alarm was set. And then I left him in the car for about five minutes. He didn’t die. He wasn’t kidnapped or assaulted or forgotten or dragged across state lines by a carjacker. When I returned to the car, he was still playing his game, smiling, or more likely smirking at having gotten what he wanted from his spineless mama. I tossed the headphones onto the passenger seat and put the keys in the ignition. Over the past two years, I’ve replayed this moment in my mind again and again, approaching the car, getting in, looking in the rearview mirror, pulling away. I replay it, trying to uncover something in the recollection I hadn’t noticed at the time. A voice. A face. Sometimes I feel like I can hear something. A woman? A man? “Bye now.” Something. But I can’t be sure. We flew home. My husband was waiting for us beside the baggage claim with this terrible look on his face. “Call your mom,” he said. I called her, and she was crying. When she’d arrived home from driving us to the airport, there was a police car in her driveway. Every year, 30 to 40 children, usually under the age of 6, die after being left alone in cars. Their deaths (usually by suffocation), are slow, torturous, unspeakably tragic. In some instances, they are the result of clear-cut neglect, but more often, they occur because of a change in routine — usually the father drops off at daycare but today it’s the mom and she is tired or harried and forgets the kid is with her and leaves him there for hours. I was aware of these tragedies long before the day I left my son, because, like most anxious, at times over-protective mothers, I spend a not insignificant portion of my time reading about and thinking about and worrying about all the terrible things that can happen to the two little people I’ve devoted my life to protecting. I know that on a 75-degree day, a closed car can become an oven. I know that a home with an unfenced swimming pool is as dangerous as one with a loaded gun. I know how important it is to install car seats correctly, to adjust and fasten the straps regularly. When my kids were babies I always put them to sleep on their backs, though they hated it. I treated small, chokeable objects like arsenic, put up gates on all our stairways (not the tension-rod kind that can be pushed over, but the kind you bolt into the wall). I immunized them against everything immunizable, sliced their hotdogs lengthwise and removed the casing, made sure their plates and cups were BPA free, limited their screen time, slathered them in sunscreen on sunny days. When my more carefree friends say things like, “What’s the worst that could happen?” I usually have an answer. Sometimes I fantasized about moving with my family to a sun-drenched island in the Mediterranean where my children could spend their days frolicking freely on the beach without worry of speeding cars or communicable diseases, but I never confuse this fantasy with the reality we live in, the reality of risk and danger, the reality that terrible things happen to good, well-meaning people every second of every day. And so, it came as more than a shock to me when, on the way home from the airport, I listened to a voice mail from an officer at my family’s local police department explaining that a bystander had noticed me leaving my son in the car, had recorded the incident using a phone’s camera, and had then contacted the police. By the time the police arrived, I had already left the scene, and by the time they looked up the license plate number of the minivan and traced it to my parents, I was flying home. I’d never been charged with a crime before, so the weeks that followed were pure improvisation. I hired a lawyer to talk to the police on my behalf. I sought advice and support from those I loved and trusted. I tried to stay calm. My lawyer told me he’d had a productive conversation with the officer involved, that he’d explained I was a loving and responsible mother who’d had a “lapse in judgment,” and that it seemed quite possible charges would not be pressed. For a while, it looked like he was right. But nine months later, a few minutes after dropping my kids off at school, I was walking to a coffee shop when my cellphone rang. Another officer asked if I was Kim Brooks and if I was aware there was a warrant out for my arrest. My friends and I sometimes play this game, the did-our-parents-really-let-us-do-that game. We recall bike ramps, model rockets, videotaping ourselves setting toys on fire. Many remember taking off on bikes alone, playing in the woods for hours without adult supervision, crawling through storm drains to follow creek beds, latchkey afternoons, monkey bars installed over slabs of concrete. My husband recalls forts built in the trunk of the station wagon on long road trips. I remember standing up in the back of my father’s LeBaron convertible while he cruised around the neighborhood, or spending an hour lying low on the seat of our station wagon, feet against the window, daydreaming or reading in crowded parking lots while my mother got groceries or ran other boring errands. One friend tells me how, from 7-Elevens, to Kroger, to various banks, schools and offices, he was left alone in the front passenger seat of a convertible Mustang for a good portion of his childhood, primarily because he was shy and wanted to not have to meet new people. For people of our generation, living a suburban childhood, the car was central to our lives, not simply a mode of transportation but in many ways, an extension of our home. We all knew, of course, that cars were dangerous. Moving cars. Every few years there would be a terrible accident. In the fourth grade, a local mother and her three children were killed on their way to school. A few years later, three teenagers were maimed and paralyzed by a head-on collision with a tree behind our neighbor’s house. But these horror stories never penetrated the inside of our own family car, which seemed infinitely safe, cozy even. In the months of fear and shame that followed my being charged with contributing to the delinquency of a minor, I continuously analyzed my own mind-set that day, trying to understand how I did something that both a bystander and a police officer considered criminally dangerous, and the best I could come up with was the theory that I’d been lulled by nostalgia into a false sense of security. So many of my childhood memories involved unsupervised time in cars in parking lots just like the one where I’d left my son. I wondered in the days after it happened if being back home, out of the city, had given me a sort of momentary amnesia. I’d forgotten that more than 25 years had passed since those unsupervised childhood hours. And a lot could change in 25 years, I thought. People were always saying how the world was a more dangerous place than it had been when I was growing up. I had no reason not to believe them. I felt guilty and ashamed. I felt I’d put my child at risk for my own momentary convenience. I knew I wasn’t a terrible mother, but I’d done something terrible, dangerous, and now I’d suffer the consequences, go to court, pay legal fees, live with a criminal record. This was how I thought about what had taken place. “A gray area,” he repeated. Then he went on to remind me that in my case, it wasn’t just that I’d left him, but that someone had seen me do it and stood there and recorded it and called the cops and given them the video. I picture this concerned someone standing beside my car, inches from my child, holding a phone to the window, recording him as he played his game on the iPad. I imagined the person backing away as I came out of the store, watching me return to the car, recording it all, not stopping me, not saying anything, but standing there and dialing 911 as I drove away. Bye now. At this point, almost a year had passed since it happened. I could hear my lawyer shuffling papers. I looked down and saw that my hands were shaking. My hands were shaking, but unlike before, I wasn’t afraid. I was enraged. His response was instant and unequivocal. “I don’t think you want to do that. This is going to be handled in juvenile court, and the juvenile courts are notorious for erring on the side of protecting the child.” I can’t remember if he said it or only implied it, but either way, the warning took root. You don’t want to lose your kids over this. It was the first time the idea had skulked out of the darkest, most anxious corners of my mind. My lawyer and I said we’d talk later. I thought I was going to be sick. When I first began to process what had happened, I worried that, wrong or right, guilty or innocent, what I’d done, what I’d let happen, would seem abhorrent to anyone I told, that it was the moral equivalent of driving drunk, not evil, maybe, but reckless and stupid. Unfortunately, I’d never been much good at keeping secrets, particularly during periods of stress (my husband once asked if I’d ever kept anything from anyone). And so, as the months passed, I told people, and mostly, I was relieved and surprised by how supportive my friends and family were. Other friends in whom I confided were equally supportive. One told of an acquaintance who’d had a similar experience. She’d gone to walk the dog around the block while her baby was napping and ended up with a year of weekly visits from DCSF. Another was a high school drama teacher and, after someone observed him fake-pushing a student in the fight scene of a school play rehearsal, put him on paid leave until a social worker could interview him in his home. And even those friends who’d never had these harrowing experiences had difficulty believing I had really gotten into such big trouble. “I mean,” one friend said, comforting me, “were those like your best five minutes of parenting? No. If you were nominated for parent of the year and they needed a clip, would you submit that one? Probably not. But that doesn’t mean you committed a crime!” Other friends tried to soothe me with stories of their own errors and oversights. Kids forgotten and then found seven grocery aisles over, babies rolling off changing tables when Mom went to answer the phone. And still others tried to make me feel better by reminding me that regardless of what I had done on that single afternoon, most days I was a typical, overprotective, over-anxious, neurotic, independence-stifling, middle-class parent. I reached out to Skenazy early this year through a Facebook message, and she got back to me right away, saying she was happy to talk. As a mother who has often felt as though my kids are in constant danger, I wasn’t sure what to expect of her, if I was going to end up talking to a fringe “expert” who would tell me to forgo seat belts and bike helmets and vaccines to help my kids toughen up. Instead, Skenazy comes across as calm, direct and adamant in her ideas. The problem is, I understand irrational fear. In fact, irrational fear and I are old friends. Some things seem dangerous and others don’t, and often, it has little to do with statistics or data. No matter how many people reassure me that flying is the safest form of travel, so much safer than driving, I will always be more nervous at 30,000 feet than en route to the airport. Likewise, it won’t matter how many statistics or how much analysis on low crime rates or the importance of fostering independence Skenazy or people like her spout; for many parents at this moment in our culture, leaving kids unsupervised just doesn’t feel safe. Anything could happen, is a common refrain voiced by such parents. And I know what they mean. We’ve seen the television movies about abducted children. 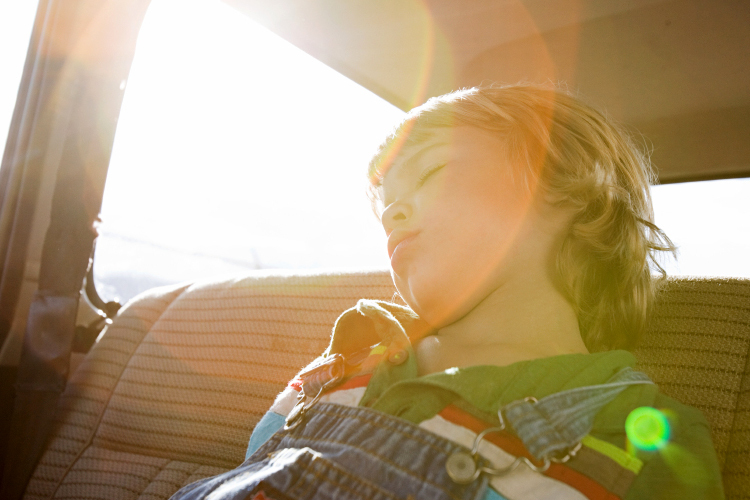 We’ve heard the heart-rending stories of kids injured in carjackings, or forgotten in sweltering cars. And once you imagine something, imagine what it must have been like for that parent or child who suffered it, it’s not a great leap to imagine it happening to you or your child, and then, if you’re like most parents, you will do anything in your power to prevent it. It’s not a matter of likelihood or statistical significance, but the terrible power of our imagination. The juvenile courthouse was a long corridor of windows and leather benches filled with wandering, waiting, quietly agitated families. I went with both my parents and found the courtroom to which I’d been assigned. In the courtroom, I kept my legs and arms crossed to keep them from shaking. My stomach seemed to have its own pulse. But in the end, it all went as we’d hoped it would. My lawyer had persuaded the prosecutor to issue a continuance in the case, and he had agreed not to pursue the charge if, over the course of nine months, I completed 100 hours of community service and attended parenting education. They presented this agreement to the judge, who accepted the proposal, and then it was over, and the next day I flew home, feeling very, very lucky. The punishment, in some ways, turned out to be a blessing. I was allowed to complete my community service at nonprofits I cared about deeply, and while it made my life a little more hectic, it was overall a positive experience. For the education I worked privately with a social worker who always had great ideas about how to incorporate positive discipline and adopt better strategies for setting limits. The only thing, in fact, that really bothered me during these probationary months was the impact the case had on my son. At the time of the incident, he never mentioned what had happened, and I assumed that he was unaware, that the best thing would be not to bring it up. But, of course, kids are astute observers and somewhere along the line, he figured it out. That evening I sat him down and tried to explain it. I told him that he was right, that mommy had left him in the car for a few minutes one time and that was a mistake. I wasn’t supposed to do that. But it was all going to be fine now. Mommy wasn’t going to jail. And no one was going to kidnap him! He nodded slowly, but I could see from his face that he only half believed me. And as I thought about it, I questioned if this belief I had in the basic decency of strangers was part of the problem. Certainly, many of my fellow parents didn’t seem to share it. We live in a country of gated communities and home security systems. My sister has both, though she lives in a subdivision with about a dozen neighbors. We’re told to warn our children not to talk to strangers. We walk them to school and hover over them as they play and some of us even put GPS systems on them, confident, I guess, that should they get lost, no one will help them. Gone are the days of letting kids roam the neighborhood, assuming that at least one responsible adult will be nearby to keep an eye out. I’m told there are still things like carpools and babysitting co-ops, but I’ve never found one. In place of “It takes a village,” our parenting mantra seems to be “every man for himself.” Faced with this gulf between my own childhood and the environment in which I was raising my kids, I couldn’t help but wonder if it was good that I’d been taught a lesson, reprimanded for something stubbornly naive or careless in my nature. Other publications and websites and social media outlets and message boards are awash in eight ways to know if you’re over-parenting, or how to give your kid the freedom he needs and deserves. Psychologists and social scientists wonder if we’re not instilling children with a sense of learned helplessness that makes them into subfunctional, narcissistic young adults who have an overinflated sense of worth and sensitivity and, more recently, require trigger warnings on college syllabi. But what I always find lacking in these warnings is some explanation, not only of how expectations have shifted so radically for parents, but of why they have shifted. The tip-of-the-tongue answer is often that the world is a more dangerous place than it was a generation ago. But it doesn’t take much research to debunk this myth and find that nationally, violent crime rates are lower than they were in the ’70s and ’80s. So how do we explain that activities that once seemed harmless — letting a kid play at the park without supervision or sitting in a car for a few minutes — have now become not only socially taboo but grounds for prosecution? And maybe because we’re both so isolated and so “ambitious” in our parenting, we sabotage ourselves with impossible standards, live with a chronic fear of not measuring up in what’s supposed to be our most important calling. It’s almost as though, in the course of a few decades, we’ve all developed a cultural anxiety disorder around our children, and when I mull over this idea, I don’t feel anger or indignation over what’s happening, but an awful sort of sympathy. Of all the difficult parts of parenting, the hardest for me (and for many people, I think) is not the fatigue or time drain or chaos of family life, but the inability to ensure that nothing terrible will ever happen to my children. This desire to prevent suffering in one’s kids is stronger than the desire to breathe, stronger than my most basic human instincts. And yet, no matter how strong the desire, none of us can do it. We just can’t. Every day it seems there is less we can control about their future. The schools are failing, the middle class is vanishing, super-bugs grow stronger and antibiotics weaker. The seasons are slipping and I might not recognize the climate of the planet my kids will come of age in. College education floats further out of reach. Guns are everywhere. People are often angry and suspicious. Our food makes us fat and sick. I can’t control any of this, so my grip tightens on what I think I can control, on everything within reach. And yet no matter how firmly I grasp, nothing anyone does can change the fact that sometimes, children get sick and die, or are killed in car accidents, or drowned in swimming pools when our backs are turned for just a second. Sometimes they go to the doctor with a cut on the leg and expire a few days later of blood poisoning. Sometimes they’re shot in schools, or become addicted to drugs or take their own lives. These occurrences are not common, but they happen, and we hear of them, and because we cannot imagine anything worse, we say, not to me, not to my child. It’s not going to happen to me. My father told me a story once about a nightmare he had when I was small. He dreamed he was back in upstate New York where he grew up, and he was driving in a snowstorm along a deserted highway, me in the back of the car. He pulled onto the shoulder to check on a tire. A minute later, when he tried to get back into the car, he realized he’d locked himself out, and that I was trapped inside in my carseat. It was freezing. The snow swirled down around him in wild eddies. He banged on the window, trying to break it. He screamed for help, but there was no one near, no one to help, only empty fields and darkness. I never leave my kids in a car now when I run into a store, and so I know nothing bad will ever happen to them in a non-moving vehicle. I suppose every little peace of mind helps. Still, I worry. I worry that when my husband and I decide our kids are old enough to walk alone to school, be that in two years or in five, some good samaritan will disapprove and call the police. I worry what the other parents will think if I hang back on the bench while my kids are playing at the park, reading a book instead of hovering over them. I worry that if I let my son play in the alley with the other kids and don’t follow him down because there are already eight responsible adults standing around, I’ll be thought of as the slacker mom who’s not pulling her own. And so I accompany when I probably don’t need to. I supervise and hover and interfere. And at least half of the other parents are probably doing it for exactly the same reason. This is America and parenting is now a competitive sport, just like everything else. What do we get if we win? A kid who will never be hurt of frightened or alone? The promise and assurance of safety? I’m not that naive. When I was little, I believed there was a wolf that lived in my closet, up near the black plastic bags of old clothes. The wolf spoke perfect English and told me that if I didn’t count to 20 before I fell asleep he would come out of the closet and eat my feet. I used to lie in bed, tight beneath the covers, and count. I knew that if I counted, I’d be safe. It made sense. One, two, three, four. I counted every night. I never doubted. Kim Brooks' novel, "The Houseguest," is forthcoming from Counterpoint Press, 2016. Her website is http://www.kabrooks.com/. You can follow her on Twitter @KA_Brooks.